WHAT: Concrete delivery (15 trucks) for installation in the Train Wash Facility North Bay Slab on Grade with a pump truck. 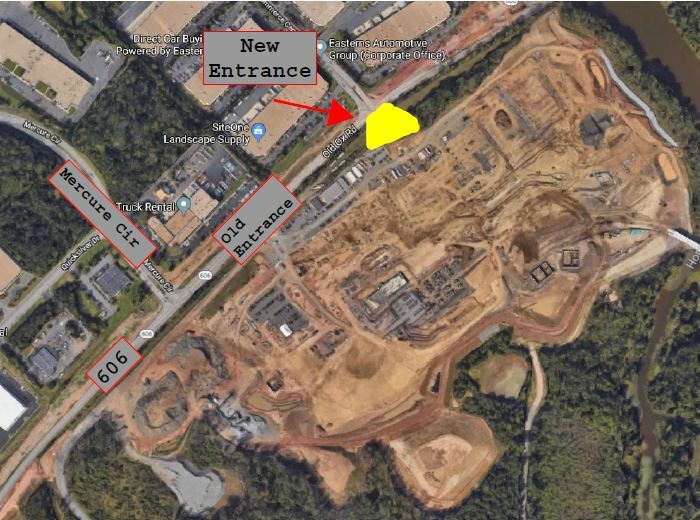 WHEN: Monday between the hours of 2 a.m. to 8 a.m.
HOW: Trucks will travel from the Titan batch plant along Route 606/Old Ox Road to the project site. WHAT: Concrete delivery (5 trucks) for installation in the Train Wash Facility Loading Platform with a pump truck. WHEN: Friday between the hours of 5:30 a.m. to 10 a.m.